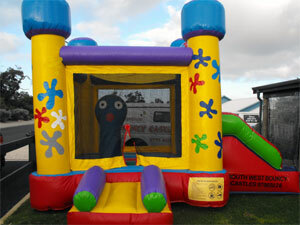 A great fun combo for both boys and girls with a bounce area and a slide . Suitable for 5 – 12 yo. 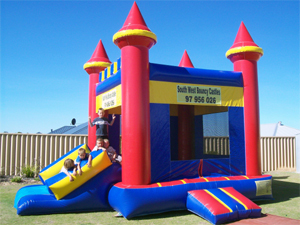 Great fun with a slide and bounce surface. Suitable for ages 5 & under. 5 x 5 with slide. Arrr! Why is a pirate a pirate? Because they arrrr! What little bloke wont have a ball wreaking havoc with his cutlass in this brilliant combo. 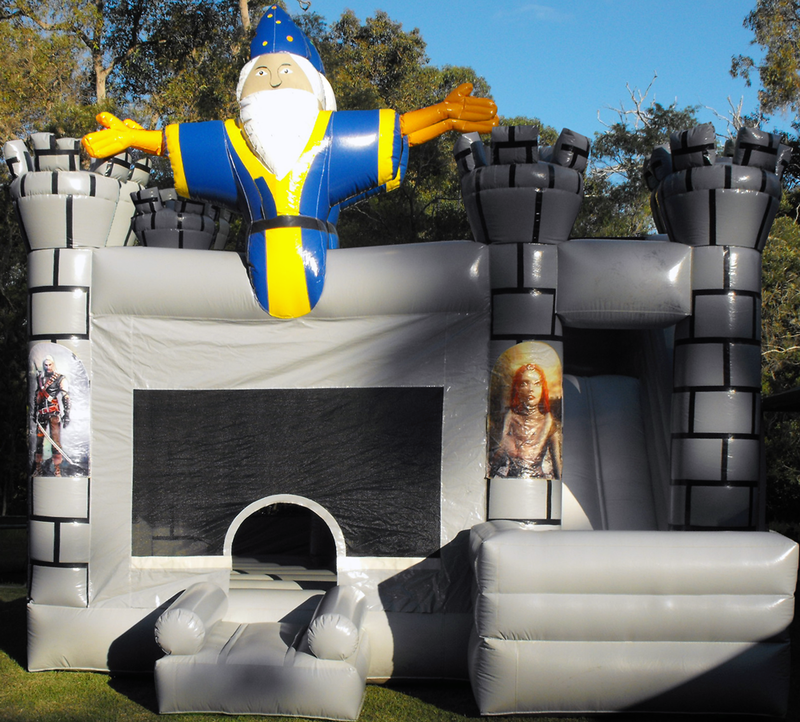 5m x 5m with slide. 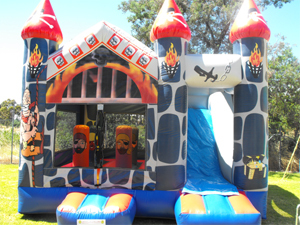 This castle is in every small girls imagination just add dress ups for a party they wont forget. Fantastic digital graphics. just watching! Suitable for 12 & under.